Nowadays a substantial share of the production processes of the world's apparel business is taking place in developing countries. In the apparel business, supply chain coordination needs resource and information sharing between business partners. Semantic web service computing (SWSC) provides numerous opportunities and value-added service capabilities that global apparel business requires to exchange information between distributed business partners. The ability to dynamically discover and invoke a web service is an important aspect of semantic web service-based architectures. This chapter describes the main features of an ontology-based web service framework, known as CSIA (collaborative service integration architecture) for integrating distributed business information systems in a global supply chain. The CSIA framework uses a hybrid knowledge-based system, which consists of structural case-based reasoning (S-CBR), rule-based reasoning (RBR), and an ontology concept similarity assessment algorithm. In recent decades, global apparel businesses have an inclination to be worldwide activity due to the economic advantage of globalization of product design and development. As a consequence, apparel businesses are operating increasingly globalized multi-tier supply chains and deliver products and services to customers all over the world. 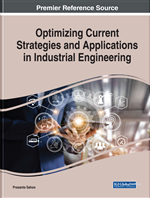 Optimizing design and manufacturing cost, an increase of outsourcing activities and globalization of markets have led to integrated supply chain planning and management processes. In this way, apparel supply chains heavily depend on their collaborative corporate partners; and they are depend on each other for resources and information sharing. Right information, at the right time makes apparel supply chain operation much more agile. It has been acknowledged by academics and practitioners that the autonomy of supply chain partners information sharing (Pal, 2018) need to keep in mind at the time of supply chain information sharing infrastructure design. There exist different approaches for sharing information within garment manufacturing supply chain partners. How to establish an open, flexible integrated business information environment is the key to solve this problem. Traditional stereo-type information systems integration techniques are very tightly coupled, and these systems are not very useful in heterogeneous system integration purpose. When data exchange format or business unit process logic is modified, adaptability adjusted of system integrated to both sides is necessary. In other words, interoperability plays an important role when heterogeneous information system needs to be integrated. Service Oriented Computing (SOC) using web services and Service Oriented Architecture (SOA) offer a promising solution to this kind of system integration dilemma. It provides a framework to represent business processes as independent modules (services) with clear and accessible interfaces. This service interactions take place using a standard description language (e.g. XML) and it makes easy for integration of different services to build a supply chain business application. These applications are using the Internet, Intranet, or any other forms of computer network forms to connect with customers, suppliers and other associated business partners. Web service has generally been pioneered by information technology (IT) companies, where demand is constantly changing, and products have very short product life cycles and short order-to-delivery times as a result. Apparel businesses successfully engaging in service-oriented applications can convert data from their back-end systems into a common readable format and thus are able to share information and conduct online transactions with their business partners via the data communication network. It also encompasses the use of innovative business concepts, such as dynamic pricing through software agent-based negotiation mechanism (Pal & Karakostas, 2016), competition via purchasing consortia and direct online sales to customers. In a distributed web service environment, service discovery is one of the main functionalities to locate the desired services. Service discovery is a process of finding the desired service(s) by matching service descriptions against service requests. A service description provides service-related information which can be advertised by a service provider and search during service discovery process. Such information usually includes functional properties and non-functional properties. Ontologies are the basis for adding semantic expressiveness to service descriptions and requirements. Ontology is an explicit and formal specification of a shared conceptualization. A service ontology is accordingly an explicit and formal specification of core concepts of the functional and non-functional properties of service. A domain ontology (or domain-specific ontology) models a specific domain and represents the meanings of terms as they apply to that domain. Ontological relations such as “is-subclass-of” or “part-of” are used for ontological inference. Semantic service discovery is a service discovery process based on ontology concepts. By using ontology concepts defined in a service ontology expressively in a service description, semantics of the service description can be defined. These service descriptions are therefore expressive semantic descriptions. At the same time, by having both ontology-based descriptions and requirements, an ontology-enhanced reasoning engine (i.e. capable of ontological inference) can be used to locate services automatically and accurately. XML: Extensible Markup Language (XML) is a simple, very flexible text format derived from SGML (Standard Generalized Markup Language). While XML was originally designed to meet the challenges of large-scale electronic publishing, it plays an increasingly significant role in the exchange of a wide variety of data on the web. Ontology: Information sharing among supply chain business partners using information systems is an important enabler for supply chain management. There are diverse types of data to be shared across supply chain, namely – order, inventory, shipment, and customer service. Consequently, information about these issues needs to be shared in order to achieve efficiency and effectiveness in supply chain management. In this way, information-sharing activities require that human and / or machine agents agree on common and explicit business-related concepts (the shared conceptualization among hardware / software agents, and service providers) are known as explicit ontologies; and this help to exchange data and derived knowledge out of the data to achieve collaborative goals of business operations. Web Service Composition: The web service composition problem aims at identifying a set of web services (and work-flow therein) such that the composition of those web services can satisfy users’ goals as much as possible. Therefore, a natural objective is to identify the best composition of web services that optimizes the customer’s needs in a best possible way (e.g. cost, execution time which is the process time of a service, reliability, and so on). Web Service: A web service is a set of related activities that produce a function to consumer of the service. Web service provided via Internet or Intranet. In a simplistic sense, a web service is described by pre-conditions (inputs) and post-conditions (outputs). Supply Chain Management: A supply chain consists of a network of key business processes and facilities, involving end users and suppliers that provide products, services and information. Concept: A concept is a cognitive unit of meaning. Concepts are introduced to describe services in this chapter.